Oneida Puccini flatware pattern offers classic European styling in form, function and finish. This pattern's has a highly polished teardrop-shaped handle and is well known for its clean styling, versatility, balance and comfort. 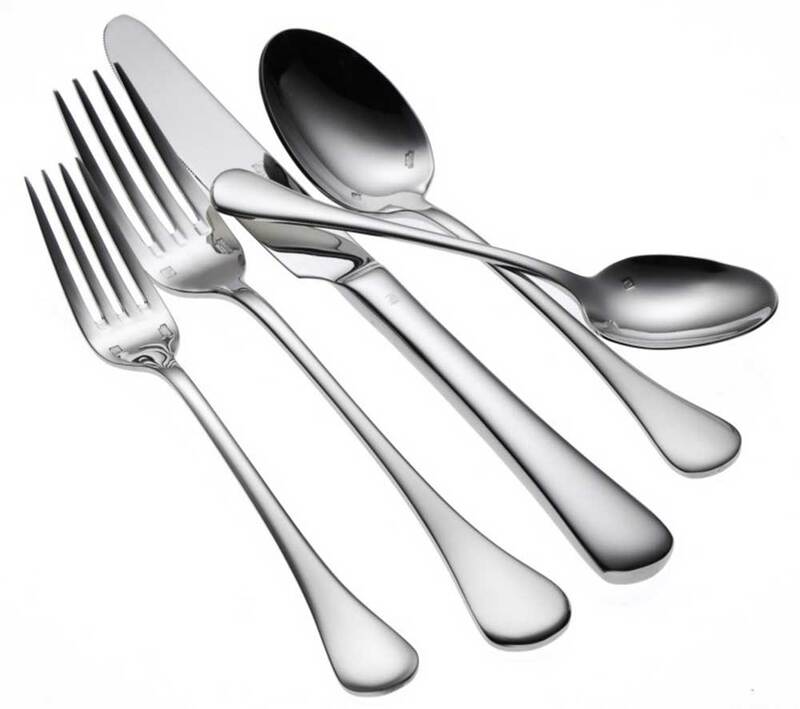 Puccini flatware has superior finished edges, seams and tips and is constructed of 18% chrome stainless steel and 10% nickel with blades that are forged and water ground. Long lasting durability you can count on from Oneida.